Used Equipment | R.J. Kates Co.
R.J. Kates has a surplus of used, refurbished welding equipment. 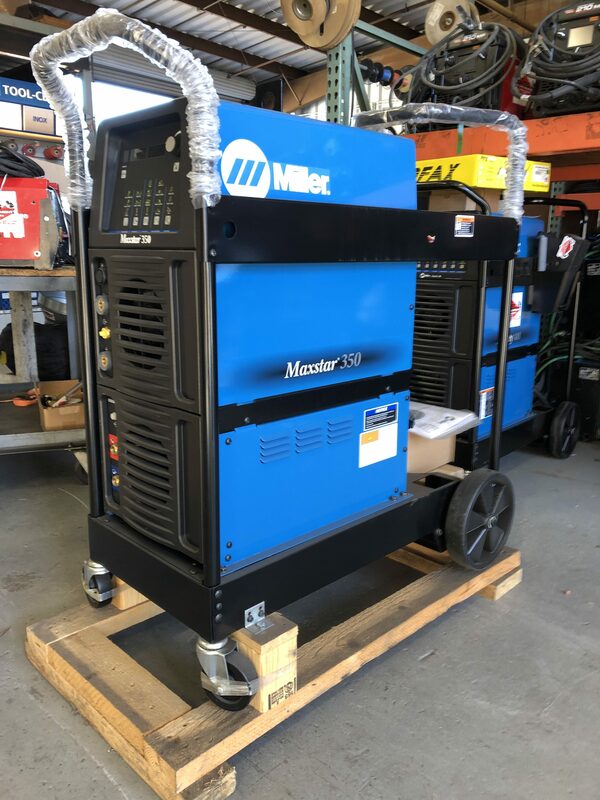 Please contact Don Petersen or Josh Kates at (858) 565-6960 for more information on the available used welding equipment and their pricing. Exceptionally smooth and precise arc for welding exotic materials. High-speed DC TIG pulse controls – Pulse frequency capable of pulsing 5000 pulses per second. Pulsing adds arc stability, reduces heat input and warpage and can increase travel speeds. Other parameters include peak amperage, peak time and background amperage. Allows for any input voltage hookup (208 – 575 V) with no manual linking, providing convenience in any job setting. Ideal solution for dirty or unreliable power. 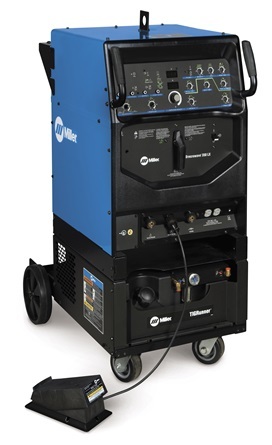 Squarewave technology was developed by Miller Electric in 1976 to improve your weld quality and make TIG welding easier. Miller Squarewave technology provides arc stability when welding aluminum, prevents arc rectification and eliminates tungsten erosion. The balance control is adjustable to provide additional oxide removal (more cleaning) or lesscleaning based on the condition of the material being welded. This allows the choice of Soft, Standard or Hot TIG starts based on the application, lead lengths and tungsten size. Display both amperage and voltage for viewing of the actual and preset values for greater accuracy and repeatability in your welding procedure. This control lowers the heat input into the part and reduces warping and distortion.